He didn't come with must fanfare, but 20 year-old four year veteran Dylan McKinlay has been a nice addition to the Rockets this season after a trade with the Kootenay Ice. The overage forward has 6 goals after 16 games, enjoying considerable success on the teams number one line with Colton Sissons and Myles Bell. McKinlay is on pace to score 27 this season, which would be significant considering the highest scoring 20 year-old player on the Rockets roster last season, Cody Chikie, found the back of the net 18 times. McKinlay, seen here in Red Deer fine tuning his stick before game time, enjoyed his longest point streak of his career (6 games) earlier this season. If he remains healthy, McKinlay should reach the 300 games played plateau later this season. If he plays in all 72 games, which he did with Chilliwack in 2009-2010, he will end his junior career with 320 regular season games under his belt. I tried to post this to Twitter the other day and I don't think it worked. So, here it is on my blog. Just a simple video of the Rockets coming off the bus to face the Hitmen.Would you like to see more of these videos on this blog or interviews with players? If so, let me know in the comments section. A huge confidence builder during a four game in five night road trip for the Kelowna Rockets. Wins over Calgary and Red Deer and a shootout loss to Medicine Hat to open the trip produced five out of a possible eight points. Impressive considering this team entered the trip without veterans JT Barnett, Mitch Chapman and Carter Rigby. 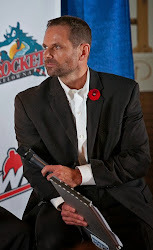 Lets be honest, the Rockets should have won Wednesdays game in Medicine Hat. They deserved a better fate after firing 58 shots at the Tigers net. Three nights later they had a 3-2 lead heading into the third period before the Edmonton Oil Kings came back with three unanswered goals. In every game they played on the trip, the ability to win was there. That is an encouraging sign. Sundays game was as mental a battle as it was a physical one. The last game of a road trip can end in disaster with a sluggish effort or lift your spirits with a character building two points. Zach Franko scored twice and added an assist in a 4-1 win over the Hitmen, the teams 8th win of the season. Franko is becoming a dangerous player. His backhand goal Sunday to tie the game at one was impressive. What also was impressive was Tyson Baillie's unselfish play on a two-on-one, when instead of shooting, the soon to be 17 year-old passed the puck to Franko who easily scored his second goal of the game and 9th of the season. Franko had 7+6=13 and was a +3 in October. Myles Bell led the way with 6+12=18 and was a +7 in October while line mate Colton Sissons was 9+7=16 with an impressive +12 rating. Is it any coincidence that Baillie had a goal a night after being a healthy scratch and then assisted on the game winner against the Hitmen? Sometimes a brief stint in the press box is positive when the first reaction to being a scratch is a negative one. There are so many positive attributes to Baillie's game, but we have to remember he is still extremely young. Patience must be taken with this second year forward that spent some time on the teams power play last season. Was this Mitch Wheaton's best game? It would be close. The rookie d-man assisted on Franko's first period goal but also ramped up his physical game. While I don't like anyone taking a penalty, his minor for slashing was an aggressive penalty. I like a little more snarl in his game. It doesn't mean he needs to fight, but stepping into someone letting them know you mean business will give him or respect as the season moves along. Wheaton saw significantly more ice time Sunday after 19 year-old MacKenzie Johnston was hurt Saturday night in Edmonton. Johnston's injury also allowed 16 year-old Riley Stadel the opportunity to show what he can do, and did he ever! Stadel was involved in a fight with Hitmen d-man Josh Thrower in a spirited tilt. This was no wrestling match as the two traded punches. I like Stadel's compete level. Dylan McKinlay has been a good addition to the team. The 20 year-old scores timely goals and now has six on the season. McKinley scored the game winner Sunday when he was hard on the forecheck. My belief is McKinlay hasn't peaked. He can play better. McKinlay was 5+9=14 and had a +8 rating in October. After an October schedule, which included a harsh dose of road games, the Rockets open a four game home stand Thursday against the Kamloops Blazers. These two teams opened the season in late September with a home and home series. The Blazers won both, but the two games were decided by a single goal. Here are a few pictures from Rexall Place in Edmonton as I take to higher ground in the rafters prior to game time. Rexall Place from high in the rafters. Guess they think the lockout will end considering the logo. My broadcast location at Rexall. The famed retired Oilers, including broadcaster Rod Phillips. The Tyson Baillie fan club has arrived. That Tyson Baillie fan club arrives in may difference sizes. The Oil Kings mascot. The kid in pink isn't sure what to make of this character. It was exactly how the Kelowna Rockets needed to play in game two of four straight in the Central Division. Last night in Red Deer, the Rockets started out slow but appeared to get better as the game wore on. Despite giving up the opening goal, which appeared to hit a player before going past starter Jackson Whistle, the Rockets took over the game in the second period and ended up scoring three unanswered goals in the 3-1 win. Colton Sissons scored the game winning goal, but like all good captain, led the way with his fantastic work ethic. Sissons scored twice in the second period, including a beauty where he picked off an ill advised pass by Rebels d-man Matt Dumba, skated in on the breakaway, and with Dumba harassing him from behind, roofed the puck, cross bar and in to give the Rockets a 2-1 lead. What made the play so impressive was the fact Sissons was protecting the puck from Dumba who was trying to catch him from behind. The Rebels are a team that struggle scoring goals. A good example was leading scorer Charles Inglis with a grade 'A' chance alone in front of Rockets goaltender Jackson Whistle in the second period. The 20 year-old missed the net by shooting the puck high and wide. Whistle seemed to fight the puck early in the game, but got better, like his team did as the game went along. The 17 year-old showed a quick glove hand and uses his big body to make saves look routine. Ryan Olsen returned to the line up Friday and clearly had fresh legs. Olsen was particularly good on the fore check and scored his team leading 4th power play goal of the season. What I liked about Olsen was his ability to get under the skin of the Rebels by hitting everything in sight. The Rebels took a penalty when Olsen was roughed up while going to the bench. Olsen had missed the last three game with a suspension. Myles Bell picked up a quiet two assists, increasing his team leading point total to 23. It wasn't the best night for Bell and line mate Dylan McKinlay, but good enough to earn the teams 7th win of the season. I thought Zach Franko was unusually quiet, but again, good enough to help his team earn their 4th road win of the season. MacKenzie Johnston really stood out on d. I really like his play. Solid and simple. Only six players have played in all 14 games this season. I like that. Why? While some players have been hampered by injuries, the coaching staff has been able to make healthy scratches of players that have under preformed. Last season that message couldn't be sent by the coaches because the roster was too small and the team sustained so many injuries. 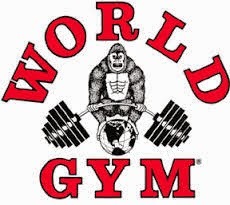 Every health body, regardless of performance, had to play. It would have been nice to see former Rockets forward Austin Ferguson in the Rebels line up against his old team. Unfortunately that didn't happen. Ferguson has been a healthy scratch more times than not and you wonder what his future holds in the WHL? The Centrium in Red Deer is undergoing some renovations with new luxury boxes and seats being added on the West end. The new seating will increase the capacity of the arena to around 7 thousand. Up next, a date with the Oil Kings in Edmonton. It is a tough place to play, yet the Rockets players love to skate on pro ice. It is interesting to note, the Rockets were one of only five teams to beat the Oil Kings at Rexall Place last season. AM 1150 has the game, starting with the pre-game show at 5:30 this afternoon. Join me on the radio won't you? At the end of the night it will be registered as a shootout loss, but Wednesday nights 4-3 setback in Medicine Hat was anything but a setback. Oddly, it still felt like a win considering how the team battled back and earned a single point and how they manufactured close to 60 shots at Tigers starting goaltender Cam Lanigan. It was an eye popping experience to see the Rockets dominate play for extended periods of the game. The only thing standing between the Rockets and two points was the play of the 20 year-old goaltender. When the buzzer sounded, the Tigers were fully aware they stole one away from a team, which on this night, looked far superior. The Rockets were able to get off to a quick start and dominated territorial play in the first period. But hockey can be a cruel sport. Despite the territorial advantage, the Rockets found themselves trailing 2-0 after allowing only four shots on goal. Instead of getting discouraged, the team battled back and didn't move away from the game plan that enabled them to register 20 shots on goal in the opening 20 minutes. Despite giving up a second period power play goal on an ill advised charging penalty by Colton Heffley, two unanswered goals in the final frame showed the ability of this group to chip away at a lead and come back. Madison Bowey's power play goal made it 3-2 before Zach Franko would score the equalizing goal with only seconds on the clock with Jordon Cooke on the bench for the extra attacker. The Rockets could have won the game in overtime after they were awarded a power play with 44 seconds left on the clock. With the 4 on 3 chance, Colton Sissons was robbed by the right pad of Lanigan on a pretty passing play. That save enabled the Tigers to send the game to a shootout where their individual skills took over. This game specifically showed where the shootout is a joke. The Rockets, in a team game, controlled the majority of play through the first 65 minutes. They were clearly the better 'team'. But when the shootout is thrown into the equation, a team game turns into an individual skills competition where the Tigers top shooters were able to pull one out of the fire. Timely saves are everything. While Jordon Cooke wasn't spectacular, his save on Tigers forward Hunter Shinkaruk with time ticking down on the second period was huge. Had Shinkaruk scored, the Tigers would have gone into the dressing room up by three goals. Instead, the deficit was two heading into the third period. The defensive core continues to shine brightly for this team. A year older, the mistakes made are significantly fewer than one season ago, when errors were clearly evident. Sure, their are mistakes made, but again those are minimal. Without Ryan Olsen for a third straight game, Zach Franko again flourished without his line mate. Franko controlled play and looks nothing like the player that struggled in a disappointing 18 year-old season. Whether Franko was playing with Henrik Nyberg or Filip Vasko, the Winnipeg product was full marks for the goal, assist and second star status. With the effort the team is playing with at this point in the season, I would hate to be a player sitting out. Who do you take out of the line up when everyone is healthy? And if you are a player struggling on the 4th line, you are now being forced to push the pace in an effort to avoid being a healthy scratch. If I have one criticism after Wednesdays game, it would be the power play. It went 1 for 7, but did score a crucial goal in the third period in an attempt to get back in the game. If the team can execute more consistently with the man advantage they are going to be real tough to beat. It is abundantly clear that if the Rockets want to beat the best teams in the WHL, the power play unit has to be dangerous. Right now the Rockets are a greater threat to score even strength than burying teams when they take bad penalties. Dylen McKinlay had his career high 6 game point streak snapped Wednesday. McKinlay is a welcome addition on a line with Colton Sissons and Myles Bell. Bell had his team leading 9th goal and 21st point of the season. Up next, a date with the Red Deer Rebels Friday night. The Rockets make two stops in Red Deer this season, making a return visit in mid December. As strange as it is, these two teams meet three times in the next month and a half. Red Deer is in Kelowna November 9th. Tonight’s Preview: The Kelowna Rockets open a Central Division road trip tonight with a stop in Medicine Hat to face the Tigers. This is the first of two meetings against the Tigers this season. The Rockets make a return visit December 14th. The Rockets made one visit to the ‘Arena’ last season (Feb 25/12) and suffered a 4-3 shootout loss. Brett Bulmer scored twice and Myles Bell added a single goal while Adam Brown made 36 saves. The Rockets last win in Medicine Hat came February 23/2011 in a 3-2 shootout win. Colton Sissons scored the game winner. Following tonight’s game, the Rockets are in Red Deer Friday, Edmonton Saturday before concluding the road trip Sunday afternoon in Calgary against the Hitmen. Overall, the Rockets have won five of their last eight games and are coming off a 4-2 win over Brandon Saturday night. The Rockets next home game is November 1st against the visiting Kamloops Blazers. This and That: In the Rockets 6 wins this season, Myles Bell has earned 15 points (6+9=15). Of the 29 goals scored by the team in those six wins, Bell has been in on 15 of them….Bell has 8+11=19 after 12 games this season. Last season after 12 games, Bell had 4+7=11….Colton Sissons is a +8 in the month of October. The Rockets captain has 6+6=12 in October after going scoreless in four games in September. Sissons leads the Rockets in +/- with a +9…Ryan Olsen is serving game three of a three game suspension for a high hit against Victoria last Saturday. Olsen leads the team in power play goals with three. Last season Colton Sissons led the team in power play goals with 13…Dylen McKinlay has a six game point streak. McKinlay has 3+6=9 in his last six games…Myles Bell has 7+15=17 in his last nine games….Colton Sissons and McKinlay have the longest point streaks of any Rockets player this season (6)…The Rockets are 6-5-0-1 after twelve games this season. They were 4-7-0-1 after twelve games last season…The Rockets were involved in a whopping 37-one goal games last season…In November the team plays eight of 11 games on home ice…Dylen McKinlay has four multiple point games this season and has thirteen points in his last nine games (4+9=13)…Tyrell Goulbourne, J.T Barnett and rookie Austin Glover are the only three skaters that have failed to find the score sheet this season…The Rockets have scored 24 goals in their last six games. 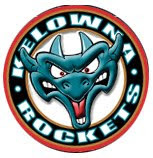 Bell (4), Sissons, McKinlay and Chartier (3 each), Franko and Severson (2 each) and Lees, Heffley, Baillie and Nyberg (1 each) lead the way…Colton Heffley’s goal Saturday was his first in 32 games…The Rockets acquired forward Cody Fowlie off waivers Monday. 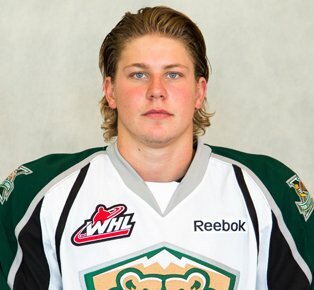 Fowlie played last season with the Everett Silvertips, racking up 40 points. The soon to be 20 year-old (turns 20 on Nov 5th) scored once, added an assist and collecting a fight for the Gordie Howe Hattrick the last time he played in Medicine Hat as a member of the Silvertips. Rockets Prospects Recognized: Two prospects with the Kelowna Rockets will participate in the upcoming Western Canada U-16 Challenge Cup. Nick Merkley will play for Team Alberta while Joe Gatenby will suit up for Team BC. Merkley was the Rockets 1st round pick in the 2012 WHL bantam draft while Gatenby was taken in the second round. The U-16 Challenge Cup takes place Nov 1st to 4th in Calgary. Zach Franko played in his 150th career game October 5/12 in Prince George. Ryan Olsen is five games shy of 150 for his career. This is game #146 tonight. Myles Bell played in his 200th career WHL game last Thursday against Prince George. J.T Barnett has scored 46 career WHL goals. Colton Sissons has 97 career points. Snow. A significant amount greeted the Kelowna Rockets as they arrived in Medicine Hat early Tuesday morning. Christmas came early for Kelowna Rockets rookie Mitch Wheaton. New skates. Cody Fowlie makes his Kelowna Rockets debut Wednesday night and will wear sweater #18, the old number of former Rockets leading scorer Shane McColgan. Alumnus Cam Paddock has also sported #18. The legendary play-by-play voice of the Medicine Hat Tigers, Bob Ridley, conducts a TV interview with Kelowna Rockets head coach Ryan Huska after Tuesday’s workout at the Arena. Huska enters the game against Medicine Hat with 192 career regular season wins behind the bench. Ridley has called Tigers games since 1970, the year the team entered the WHL. Amazingly, he has missed just one game. The Rockets traveled just under a thousand kilometers to get to the 'Gas City'. Newly acquired Cody Fowlie will make his debut after being acquired off waivers earlier this week. Fowlie will wear sweater #18. Ryan Olsen will serve his third and final game of a three game suspension for a hit to the head major he received against the Victoria Royals two weeks ago. Olsen will be back in the line up Friday night when the Rockets visit the Red Deer Rebels. AM 1150 has Wednesday's game, starting with the pre-game show at 5:30 and the play-by-play at 6. An early Monday afternoon practice and the Kelowna Rockets headed out East on the first of two tours around the Central Division this season. The Rockets make a similar trip December 12th to the 16th. This road trip provides the greatest challenge with four games in five nights. While still hampered by key injuries to defenceman of the year Mitchell Chapman and 20 year-old J.T Barnett, the team made a move today to get another veteran presence in the line up. Forward Cody Fowlie was plucked off waivers after he failed to earn an overage spot with the Everett Silvertips. As a 19 year-old last season in Everett, Fowlie, who doesn’t turn 20 until November 5th, collected a respectable 40 points. That is just one point shy of the 42 points that Colton Sissons and Myles Bell put up last season. It should be pointed out that Sissons (58) and Bell (54) played in fewer games than Fowlie (72). A better comparison would be Zach Franko, who played in all 72 games last season, like Fowlie, and collected 39 points. What can the Rockets expect from the Airdrie, Alberta resident? We are about to find out. Fowlie will make his debut Wednesday night against the Medicine Hat Tigers. Tonight’s Preview: The Kelowna Rockets play their 5th home game of the season tonight when they welcome the Brandon Wheat Kings. This is the one and only meeting of the season between the two teams. In their last visit, October 26/2010, Mark Stone scored once and added an assist in a 3-1 win. Shane McColgan scored the lone goal in a losing cause. Neither of those players are with those two teams. Last season, in Brandon, the Wheat Kings earning a 5-3 win. Colton Sissons scored twice while Carter Rigby added his 9th of the season in a losing cause. Following tonight’s game, the Rockets head out on a Central Division road trip which starts Wednesday in Medicine Hat. The trip includes stops in Red Deer, Edmonton and Calgary. Overall, the Rockets have won four of their last seven games. The Rockets next home game is November 1st against the visiting Kamloops Blazers. This and That: In the Rockets 5 wins this season, Myles Bell has earned 15 points (6+9=15). Of the 25 goals scored by the team, Bell has been in on 15 of them or 60 percent…Bell has 8+11=19 after 11 games this season. Last season after 11 games, Bell had 4+7=11….Colton Sissons is a +8 in the month of October. The Rockets captain has 6+5=11 in October after going scoreless in four games in September. Sissons leads the Rockets in +/- with a +9…Ryan Olsen is serving game two of a three game suspension for a high hit against Victoria last Saturday. Olsen leads the team in power play goals with three. Last season Colton Sissons led the team in power play goals with 13…Dylen McKinlay has a five game point streak. McKinlay has 2+6=8 in his last five games…Myles Bell has 7+15=17 in his last eight games….Colton Sissons has the longest point streak of any Rockets player this season (6)…The Rockets are 5-5-0-1 after eleven games this season. They were 4-6-0-1 after eleven games last season…Five of the Rockets first eleven games have been decided by a single goal….The Rockets were involved in a whopping 37-one goal games last season…In November the team plays eight of 11 games on home ice…Dylen McKinlay has four multiple point games this season and has twelve points in his last eight games (3+9=12)…Zach Franko has missed the last two game with an undisclosed injury. Franko was hurt last Friday in Victoria, snapping his consecutive game streak at 153 straight regular season games…Did you know that Kelowna Rockets defenceman Damon Severson was born in Brandon? While he was raised in Melville Saskatchewan, the 18 year-old was born in the Manitoba city… Tyrell Goulbourne, J.T Barnett and rookie Austin Glover are the only three skaters that have failed to find the score sheet this season…The Rockets have scored 20 goals in their last five games. Bell (4), Sissons and Chartier (3 each), Franko, Severson and McKinlay (2 each) and Lees and Nyberg (1 each) lead the way. Myles Bell played in his 200th career WHL game Thursday against Prince George. Colton Sissons has 96 career points. I'm eating my words. I won't bad mouth PG again. Somebody gonna get hurt real bad!